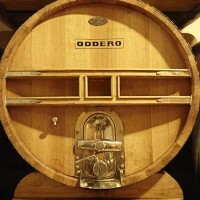 Join us, Friday, February 7, from 5:00 to 7:00 p.m. when we welcome Isabella Oddero from Cantine Oddero in La Morra – one of the principal villages which make up the Barolo DOCG. This is a fantastic opportunity to taste some of the Piedmont’s best wines, and to taste them with a member of the family that has owned and lived on this property for the last 130+ years, and whose winemaking roots in the region extend back at least another 100 years further. Don’t miss out! 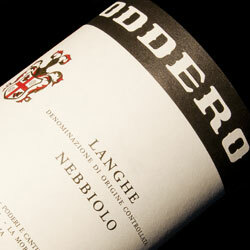 A great introduction to the wines of Oddero, the Langhe Nebbiolo is made from vines throughout the region. Made in virtually an identical fashion to the Baroli and Barbaresco Oddero produces, the main difference being that this Langhe is aged a shorter time in wood and the tannins are less imposing, allowing it to be enjoyed without any need for cellaring. 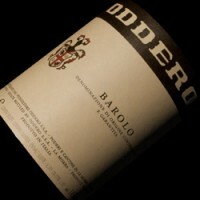 Barolo is not only where the Oddero winery is, on some level Barolo is what the Oddero winery is. 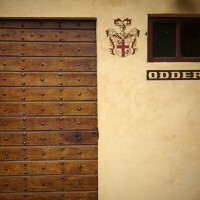 A Barolo specialist, Oddero crafts traditional wines grown in two vineyards, Bricco della Chiesa, a beautiful hillside vineyard below the church that sits just uphill from the winery in La Morra, and Bricco Fiasco in Castiglione. 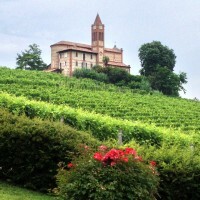 This Barolo comes from the acclaimed 2007 vintage and shows that year’s characteristic softer tannins. 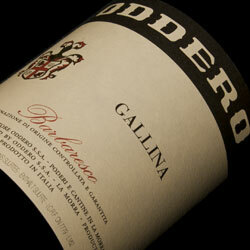 The Gallina cru in Nieve, one of the villages which comprise the Barbaresco zone, is the source for this sole Barbaresco in Oddero’s range. From the 2008 vintage, this is one of our favorites. A bright, elegant wine which shows the trademark elegance of Barbaresco, it displays red fruits and spice, a beautiful perfume (a real hallmark of the 2008 vintage) and a decidedly “mineral” character on the palate. Delicious now, but with plenty of aging potential. 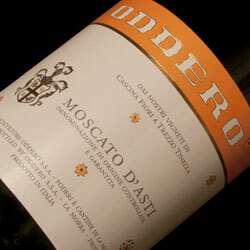 One of the most delicious Moscato that you’re likely to find, Oddero’s single-vineyard Moscato d’Asti is a house favorite. Too many Moscato don’t possess enough acidity to balance out their soft fruit and floral sweetness, but Oddero’s version is grown at an altitude that’s high enough to preserve the bright, lively character that the acidity imparts. Pure, uncomplicated (though not simple), and delightful.